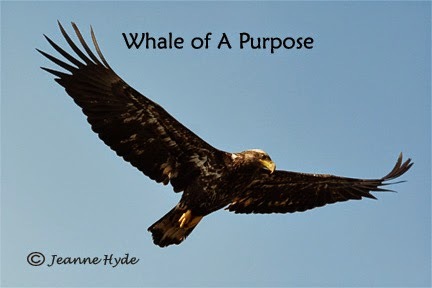 3-30-15 A Whale of a Surprise! ...little did we know we were in for a surprise! 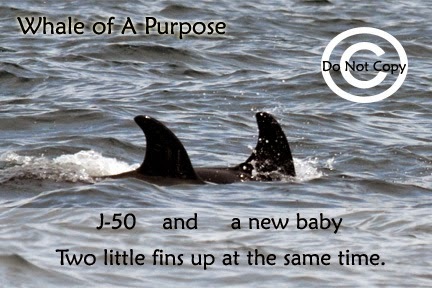 ...Slick J-16 and baby surface as they passed by us...I thought to myself, "there's mom and the baby. 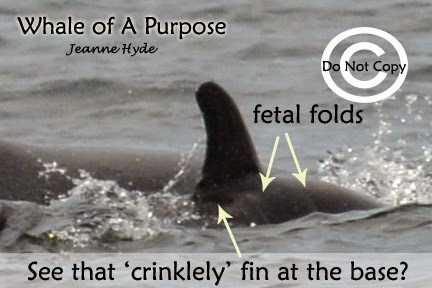 "...but then right in front of us and about 25 yards behind mom and the baby, another baby surfaces!...that's when I told Capt. Spencer, "I think there are two babies here!" 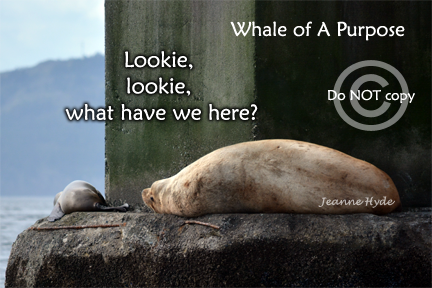 ...and so began our quest to figure it out...and then Suttles J-40 surfaces - huh? what?...you don't even belong in this family group...just what is going on? 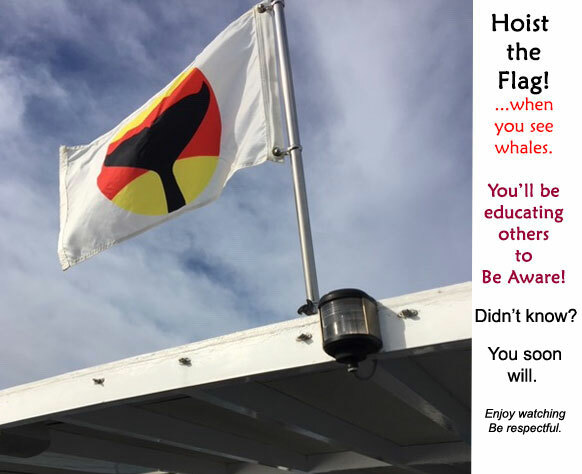 ...when Legacy was about to leave the scene, Maya's Westside Charters arrived, so I boat hopped and was able to stay out with these whales longer - thanks captains! 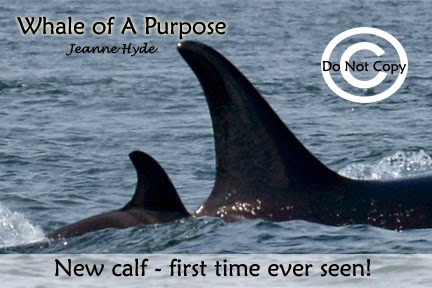 ...The Center for Whale Research was contacted while we were on the water to let them know about this calf...then after looking at images and seeing open saddle patch on each side of the calf, they were contacted again with this information. 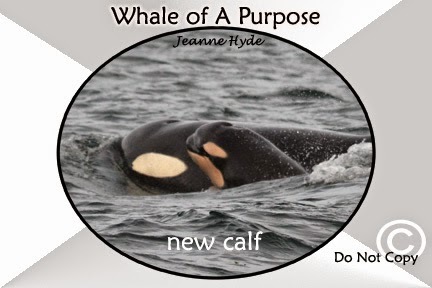 J-50 and J-51, the other two new calves in J Pod do not have open saddle patches. 3-28 I began hearing those burp sounds (fish sounds I've been told) starting in the afternoon and continuing into the evening. 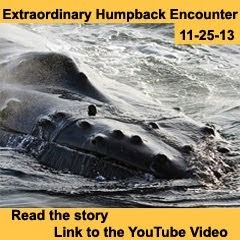 I continue to record these sounds yet I still haven't gotten it into my head that the whales might be showing up again. ...don't know yet what the rest of the day will bring...but it's been great so far! 3-27-15 Find Us If You Can! ...Find Us If You Can they said...and no one did! 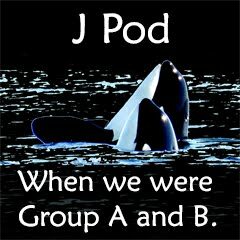 ...Yes, it was whales and it was J pod! Yippee!...I don't have to fire myself from the hydrophones. 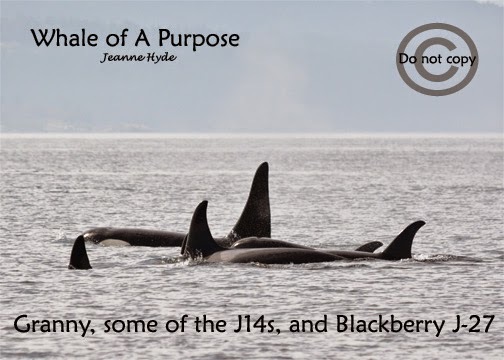 3-24-15 J Pod Today? It's Only March! 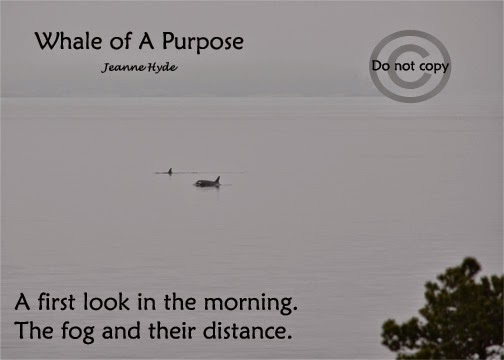 ...I woke up at 4:00a.m., feeling fully rested and got up...I said, "I must be up early cause there will be whales today." 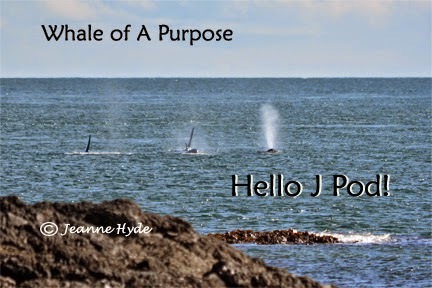 ...and just yesterday I thought it was time to make an 'anticipation for the season' video clip....well, thanks J pod, you did it for me! ...as the whales were approaching a woman, who had just walked down the path, asked if there were any whales around...oh, yes, a humpback - Big Mama BCY0324 - who is still hanging around - in fact she was a couple miles offshore doing cartwheels and making trumpeting sounds too...at the same time the killer whales were slowly making their way north...and then a juvenile bald eagle came flying right at her and then over our heads...needless to say she was about speechless! 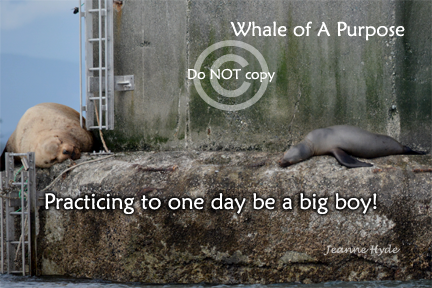 ...now everyone wants to know where will the whales be tomorrow? 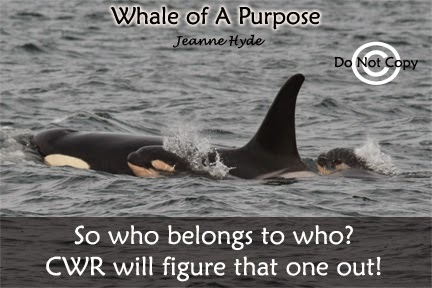 Last year in March, J pod was heard over the hydrophones on March 3rd. 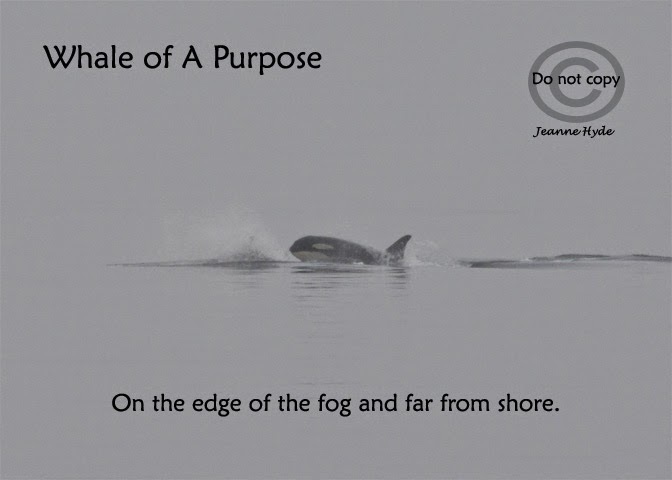 The year before that J pod was seen near the Campbell Rive in early March. 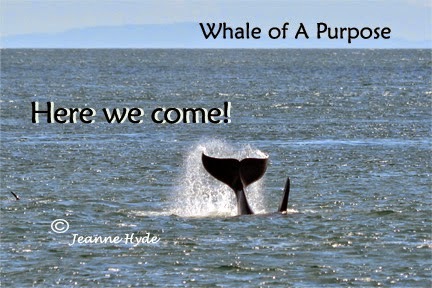 3-18-15 The' Paul Revere' of the Whales Are Coming! ...now if only I would make a plan once I hear those sounds! 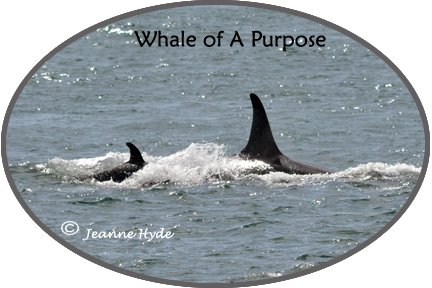 ...so off to the park...but when I located them they were miles from shore and moving up island! -Why were there no burp sounds before they arrived on Saturday? 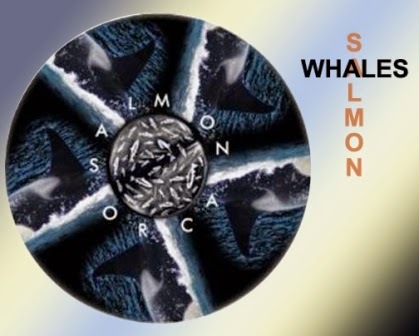 -Since they had been here for several hours that night, with basically no burp sounds in advance and a few during the time they were here and then the left, did they run out of salmon and then turn around and leave? 3-16-15 Everything So Far Away! 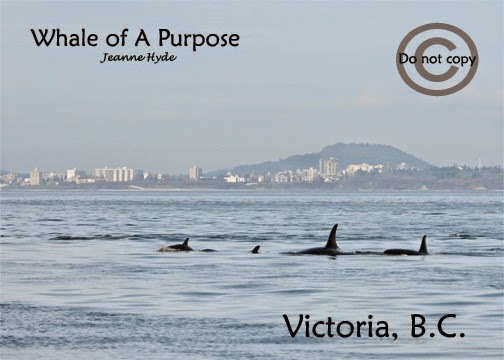 ...how does one get people to realize that even though those dams might not be directly in your own 'backyard' that they really are, because there is an impact connected to here - salmon and the more than 137 species that rely on them - really! 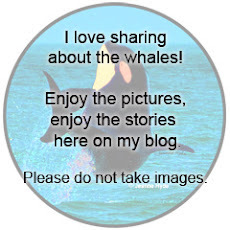 ...they were so far offshore...there really is one whale in this image! 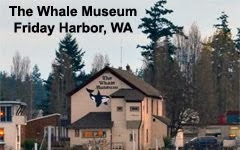 ...things were quiet in the killer whale department on March 15th, but the first of this season's humpbacks, Big Mama BCY0324, was still around! ...I guess it is that time of year! ADDED on April 28, 2018 at 5:30 a.m.: I put the date and time because this is the first time I have heard those 'fish sounds' in a very long time. After the hydrophones had been moved, farther out and deeper down, a couple years ago, those sounds just about disappeared. 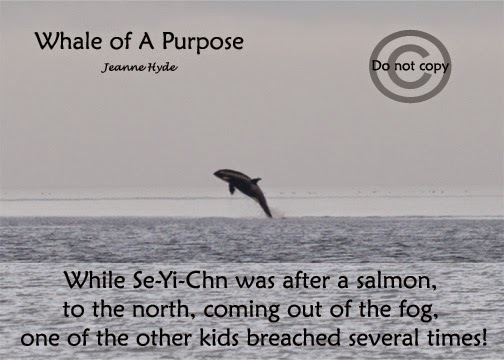 But was it due to the different location of the hydrophones or was it due to the lack of fish or what, I still don't know. Maybe those aren't fish sounds at all. Will the whales show up in the next 12 to 24 hours? We'll see what, if anything, unfolds. 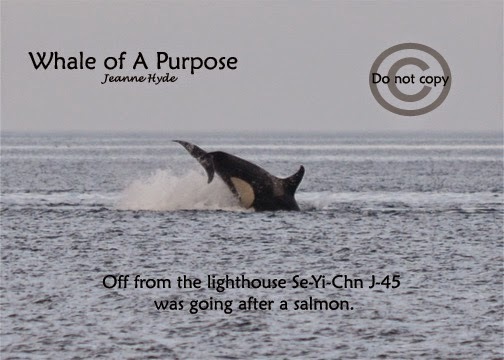 Observations by Jeanne Hyde regarding fish sounds and the appearance of SRKWs. Based on my observations, there is a suggested relationship between the burp (fish) sounds and the appearance of SRKWs during the winter months. 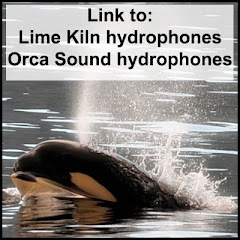 These observations are based on listening to the Lime Kiln hydrophones, Orca Sound hydrophones and sometimes the Port Townsend hydrophones and sightings of SRKWs in the inland waters. 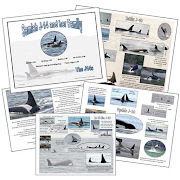 The winter of 2014 has been especially noticeable regarding hearing the burp sounds of fish and the soon after appearance of SRKWs, so much so that I began tracking when I did or did not hear the sound in question and the appearance of the whales. There are days that go by without a single burp sound being heard. 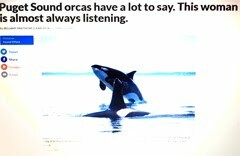 There are others when some of the burp sounds will be heard over the Orca Sound hydrophones, but the most often and most frequency are the Lime Kiln hydrophones, and rarely over Port Townsend hydrophones. The in between times of the appearance of SRKWs, the hydrophones were basically void of any burps. However, the other sounds commonly heard continued to be heard. That’s when it started to really get my attention. How to quantity the burps is difficult. So I ended up considering the frequency of hearing them. From November through January I recorded the sounds, making mental notes of the appearance of the Southern Residents. It was February that I got more detailed in my note taking. 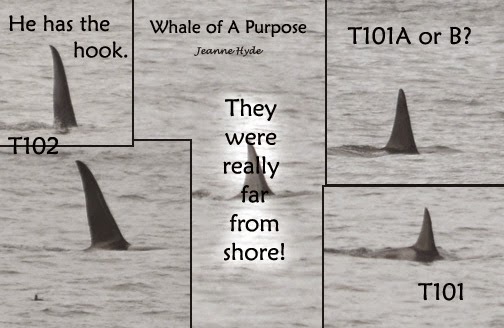 11-29 J and K pods were seen at the junction of Spieden Channel and Haro Strait. 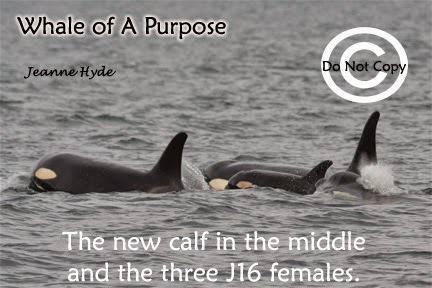 J Pod went north and Ks went down island. (Other days during the month there were few to none in the way of burps). 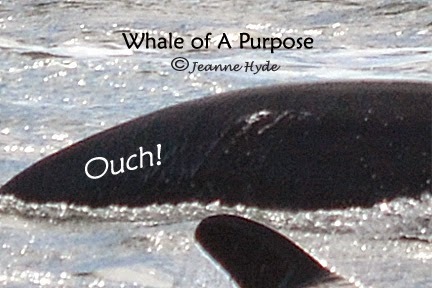 The burps always occurred prior to hearing/seeing the whales, sometimes many hours prior. January, 2015 - Based on my note taking, or lack there-of, January was quieter. The most recent example occurred starting on February 9, 2015. Prior to February 9 the Lime Kiln hydrophones had little to none of these burp sounds. 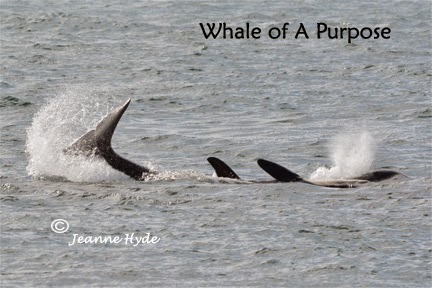 2-9 at 5:04 p.m., 5:07 p.m. and several at 5:33 p.m.
2-12 6:40 a.m. J Pod heard very faintly over LK HPs. 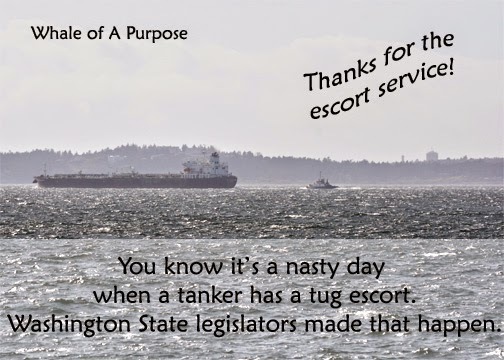 By 1:00pm they were passing Lime Kiln lighthouse going up island. As of 2-13 at 10:40 p.m. no burps have occurred over the LK hydrophones since the prior day. There were some burps during the afternoon and lots at around 5:00 p.m.
2-14 No more burps heard after 6:11 p.m.
2-15 a few burps throughout the day and in the night. 2-17 burps on OS today for a short while today as well as on LK. 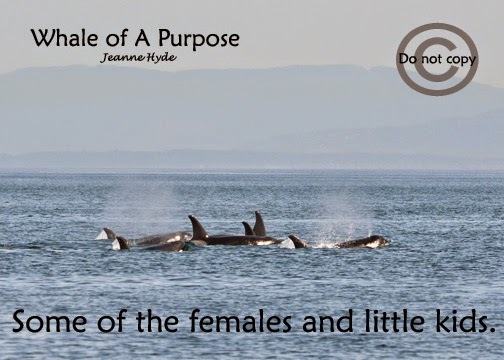 6:00 p.m. J POD COMING DOWN ISLAND – currently on OS HPS. 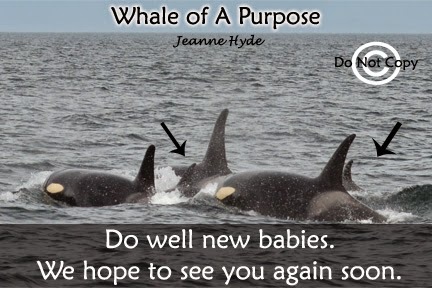 NOTE: Instead of continuing on, as they had done on every other occasion during this observation period, J Pod came back up island. 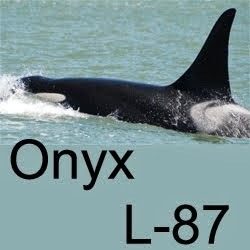 They were heard at about 4:00 a.m. over the LK HPs, and 4:30 a.m. over the OS HPs, and last heard over OS at 6:25 a.m. They continued north at that time, going up Swanson Channel at 9 a.m. The burps on LK and OS had already stopped. 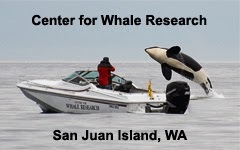 No burps from 9 to 10:43 a.m.
J Pod had continued north through Swanson Channel, Trincomali Channel and Porlier Pass. 2-20 no burps in the night on LK. 2-21 No burps. 12:30 p.m.
5:03 p.m. – LK – burp; 5:10 p.m.
2-21 5:28 p.m. LK is that shrimp? 7:20 a.m. – popping sounds – is that shrimp? 2-25 only a couple burps all day – now 9:20 p.m.
2-27 last night about 1:00 a.m. some burps. Then quiet most of the day. 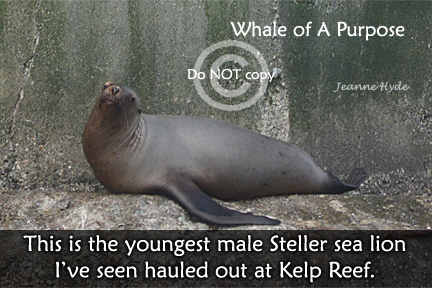 OS-burps - 6:46 a.m./7:01 a.m.
7:40 p.m. – burps – OS LK - apx 9:00 p.m.
Evening – LK several times harbor seal type slaps and splashes? 3-6 shrimp maybe? –5:45 p.m.
7:50 a.m. sounds like shrimp?? Noisy and rough seas most of day. 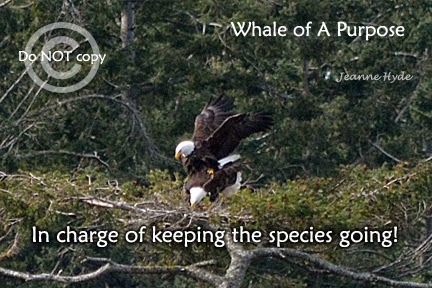 Apx 9:00 p.m. J pod calls, first on OS and then LK. 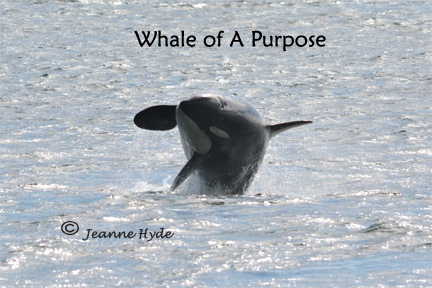 J Pod heard until close to 11:00 p.m. on both LK and OS – intermittently. now 2:20 – now 4:50 p.m. and heard only one burp all day. 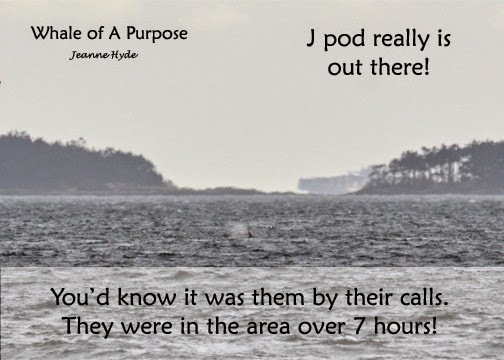 The most significant occurrence, to me, was on 2-18 and 2-19, when J Pod came down and turned around and went back north at the same time that the burp sounds were continuing. Then there was silence. What’s the meaning of it all? 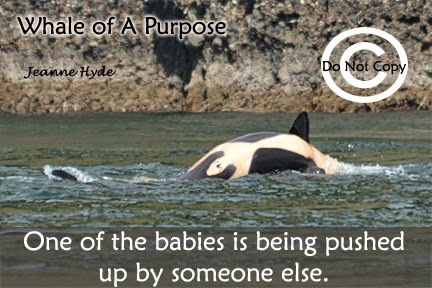 Just that there is the potential, during winter months, to anticipate the arrival of SRKWs when these burp sounds start to increase in frequency, from zero a day to possibly 10 or more a day. It isn’t a lot but it is a change. 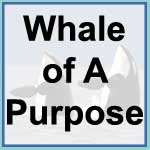 Within the next 12 to 24 hours, after the whales have left the area, it seems that the burp sounds stop altogether. The sea is a wonderful place. 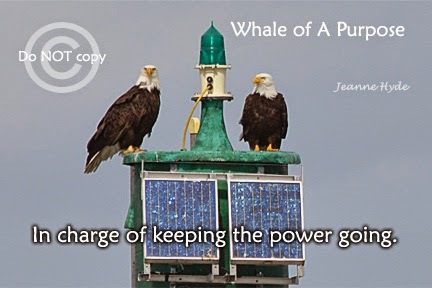 Let us all preserve it for the people of the land and the people of the sea.